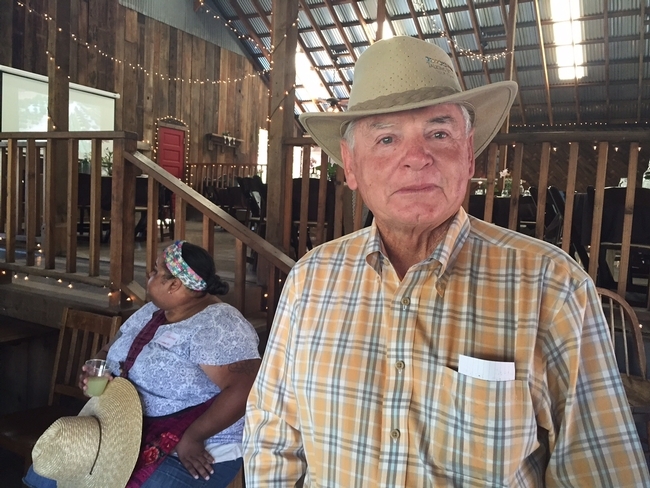 Farmer Chris Steele, owner of Capay Valley Ranches. More than 400 food writers have converged in Sacramento for the first International Food Bloggers Conference to be held in the California capital. 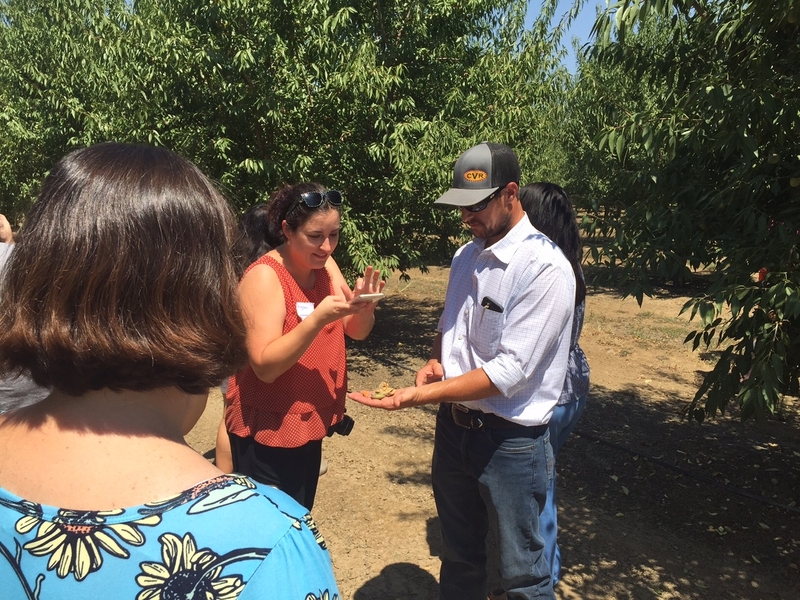 The event began with an excursion for about 45 of the foodies to Capay Valley Ranches, where the focus was on production of premium extra virgin olive oil. 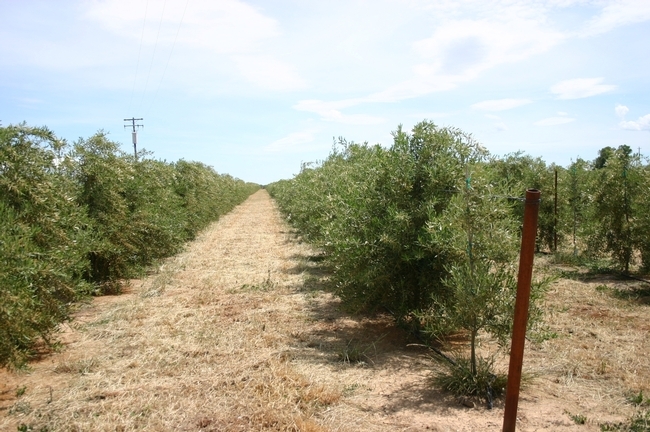 The writers heard about innovations in olive oil production that have allowed California producers to minimize labor costs and maximize yield and quality by establishing super-high-density orchards. Farm manager Joe Armstrong led a farm tour, explaining amendments that had to be added to the soil before planting, the configuration of the trees in hedgerows and an irrigation system that permits application of water to the trees exactly when it is needed. A graduate of California Polytechnic State University, San Luis Obispo, Armstrong said he choose a career in agriculture precisely because of the new technologies that make the field more efficient and productive. "That's why I have a passion for farming," Armstrong said. Ranch owner Chris Steele, who has farmed in Capay Valley his entire life, recognized how such innovations are brought to the farm. "We couldn't do this without the UC system," he said. UC Cooperative Extension advisors and specialists have worked alongside farmers to adapt the new super-high-density orchard systems. The idea was conceived in Spain and introduced into California in the 1990s. Successful use of high-density olive farming requires careful variety selection; finessed pruning, fertilization and irrigation practices; and understanding the cost-and-return for adept decision-making. This month, UCCE scientists released a new cost-and-return study specifically for farmers to use when planning new olive orchards under the super-high-density planting configuration. Capay Valley Ranch farm manager Joe Armstrong displays almonds for a food blogger to photograph. 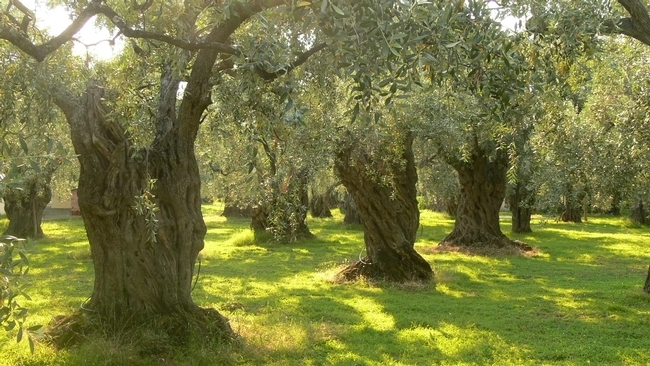 Super-high-density olives planted in hedgerows for mechanical management.